1. Cook 1 large broccoli in plane water until soft, Do not throw away the water. 2. 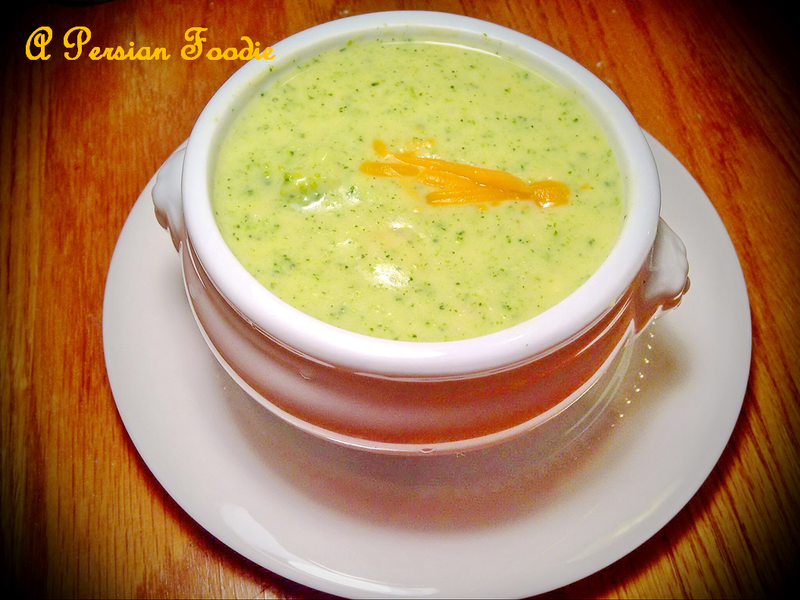 Blend cooked broccoli in a food blender. 3. Heat butter in a pot and add flour . Stir till a bit browned. 5. Now add puree broccoli, the water from cooking the broccoli( you can also use chicken broth), cheddar cheese, salt, pepper. 6. Let it cook for 15 minutes.